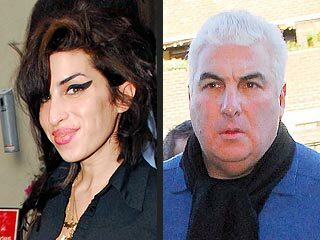 Mitch Winehouse – who promised to set up a charitable organization following Amy's death last week – is meeting up with British members of parliament Keith Vaz and James Brokenshire to present his ideas and seek assistance to fund the plans for a centre to assist drug addicts. Addiction adviser Sarah Graham, an adviser to the Amy Winehouse Foundation, told The Times newspaper: "It's all very well building a rehabilitation center but we need reassurances that we can work with Government and other agencies to make sure people get referred there, and that beds will be paid for. "There is no point in having great facilities and great staff if no one refers addicts there. Under the current system it is fantastically difficult to get funding for rehabilitation, with key workers having to get funding from at least three different sources. We need the funding to be made much more straightforward." UK this week, he said: "We loved each other intensely and probably in a really unhealthy co-dependent way and we probably called it all sorts of things, passionate, fiery and whatever but sexually it was spot-on, I guess. "You can’t have a relationship and be a heroin addict, you can’t. If you don’t have access to money you’re going out thieving and you’re going to be in jail half the time, it’s not a way to live. "You can't sustain love for each other when you're constantly fighting over a bit of gear."